Decaf coffee has long been ridiculed as the misfit of the coffee industry. Yet with an increasing horde of people asking for decaf in our shop I can’t help feel this once ugly duckling has found its inner beauty. In the beginning there was Ludwig Roselius in Germany, who in 1903 discovered how to decaffeinate coffee. This was shrouded in unsurprisingly tarnished beginnings with a decaffeination process that used the carcinogenic chemical Benzene. Although not used today, horrors of other hazardous solvents have played a role in decaf coffees sketchy past and even present. Methylene chloride being used for one, which is a key ingredient in paint stripper. Yes, those bottles with signs warning of serious illness and even death. I must add no official decaf warning has been issued and this could be my inner paranoia…or due to possibly impressive marketing efforts by coffee companies over the years. However, what I will say is safer and improved methods are on the rise. Whoever thinks decaf coffee has no caffeine has been living a lie. More fact than negative comment, but up to 97% of coffees caffeine gets removed via the decaffeination process. The real issue lies with what happens to the coffee as an end product of this process. Coffee is built up of thousands of chemicals that contribute to its natural flavours and aromatics. For better or worse they are affected by a heap of factors including the varietal, harvest, roast and brew. However, solvents used to extract caffeine not only affect but remove some of these chemicals that give coffee its inherent nuances. On top of also suggesting caffeine is potentially a key ingredient in why coffee tastes great. The decaffeination process changes the beans colour as natural chemicals are swept away by the solvents, which is where flavour takes the hit. This has resulted in a general concensus decaf coffees are much milder in flavour, sometimes tasting nothing like their caffeine roided brother. That being said it in a way gives hope that there is room for improvement. The truth is decaf in most cases serves a higher purpose that just flavour so you can’t be too judgmental. 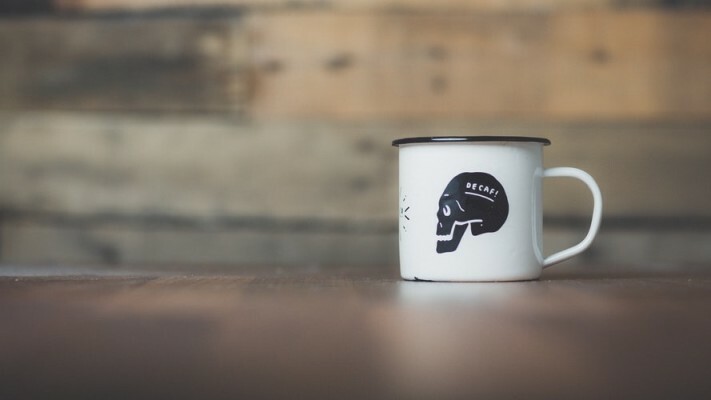 Many of us drink decaf because caffeine to some is not a pleasant experience…physically, mentally, as part of a lifestyle, and especially if you’re pregnant. Other people may move to decaf because the caffeine addictions have become too much. There is no denying the caffeine intake spectrometer can swing both ways. For example, someone who has had too much caffeine and has movements similar to that of a strobe lighted raver i’d consider a much deeper concern to society. The main take from this is that although still not viewed as an equal to regular coffee – as of yet, decaf coffee has moved noticeably in the right direction. Awareness of better decaf processes (Swiss water shout out) and improved knowledge behind better tasting coffees with the rise of speciality can only work in its favour. Non-caffeine drinkers deserve the spoils of coffee that tastes and makes them feel great. As a result, I for one will be paying a much closer attention to what decaf coffees are out there going forward. The question is… should Long & Short be serving up decaf coffee also? Recommendations for good decaf coffee welcome. 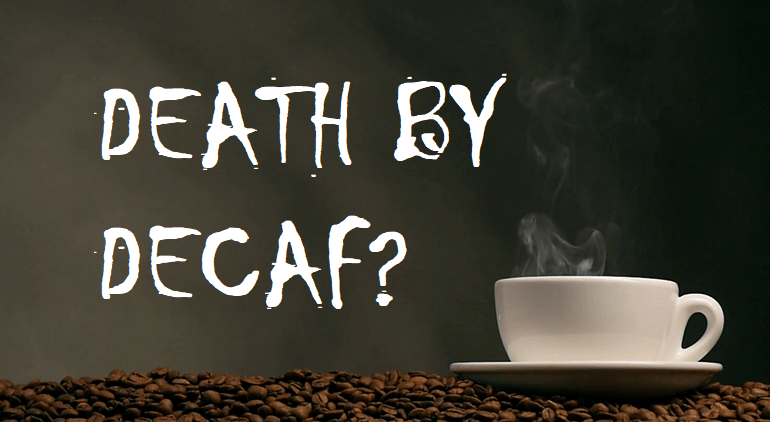 This entry was posted in Education and tagged death before decaf, death by decaf, decaf, decaffeinate.